With the constant support of experienced professionals, we are offering optimum quality Fenner Taper Lock Bushes. These are used to securely mount the product onto a shaft. Manufactured using modern machines, we offer these products in various size and dimensions. Apart from this, we are offering these bushes at very reasonable rates. We are offering the high-quality collection of Taper Lock Bushes to our valuable customers. These have left-justified hub design which allows shaft mounting close to bearings. 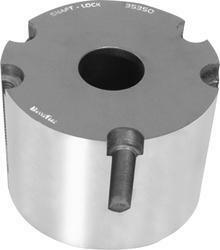 Taper-Lock bushings are split through the flange. In addition to this, these are acknowledged among clients for their sturdy construction, high tensile strength, lightweight, easy installation, anti-corrosive and enhanced durability. 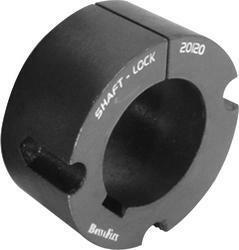 Looking for Lock Bushes ?